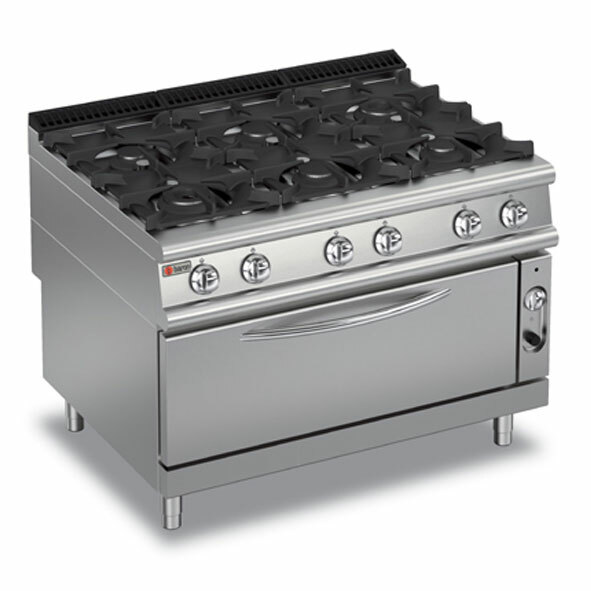 Six burner gas range with large gas oven. Internal oven size - 790 x 650 x 395mm. Cabinet, front, sides, back and inside of oven are all stainless steel. Flame failure device standard with all burners. Total gas load - 196 Mj.